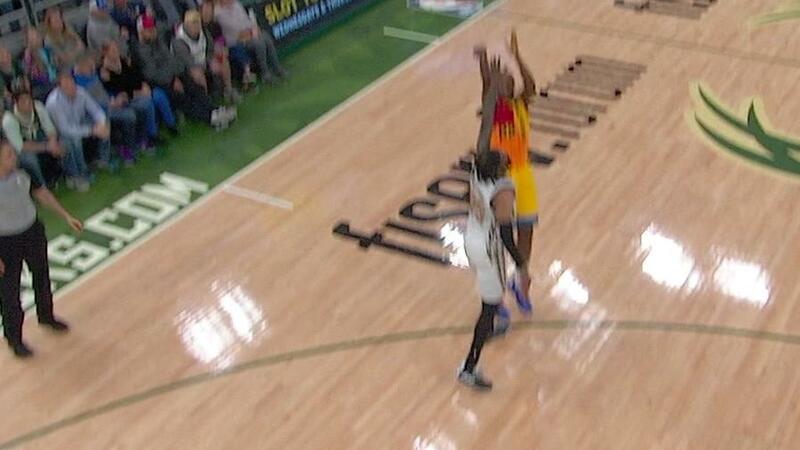 Khris Middleton's 3-point attempt hits every part of the rim and falls in. Khris Middleton throws a behind-the-back pass to set up a D.J. Wilson dunk. The Bucks add another in the win column behind big games from Khris Middleton with 39 points and Giannis Antetokounmpo with 34 points. Kris Middleton comes off the screen then throws the lob to Brook Lopez who hammers it with two hands.